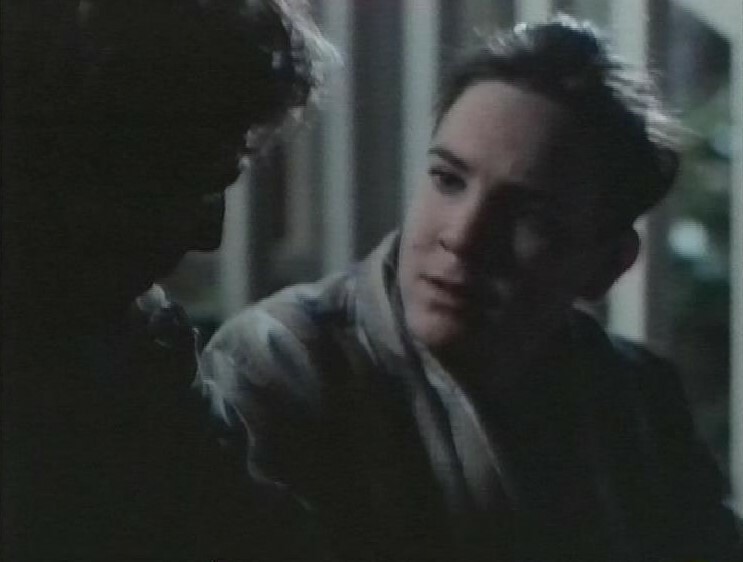 A mixture here, starting with Eerie, Indiana and an episode called No Brain, No Pain. Marshall and Simon find a homeless man and decide to help him. He seems to only speak in the lyrics of My Sharona by The Knack, but they don’t recognise it because they’re just kids. He’s being pursued by a woman who says he’s the smartest man in the world. 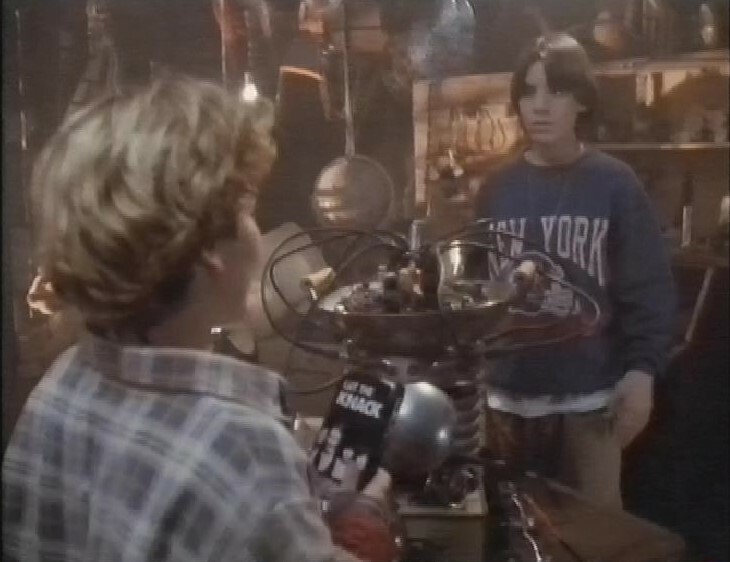 The boys find his machine, the Brainalyzer, and when they activate it, Simon’s mind is taken over by the man’s mind, and Simon’s mind is stored on the 8-track Knack album. After this, recording continues with the start of Channel 4 News. It leads with the resignation speech of Michael Mates, who condemned the Serious Fraud office for its handling of the Asil Nadir case. Recording switches to later, on BBC2 and the end of Delia Smith’s Summer Collection. There’s a trailer for Adultery. Then, an episode of Quantum Leap. 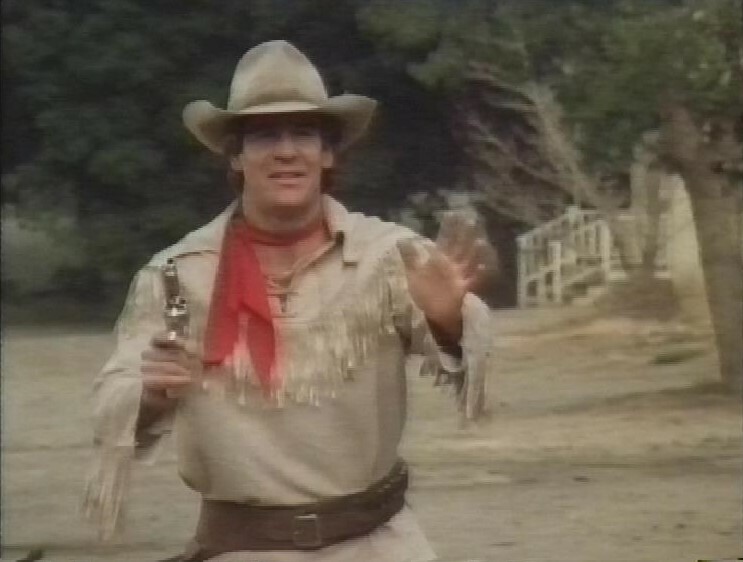 It’s The Last Gunfighter and, in series order, it’s an episode that came between the two episodes we saw on the last tape. 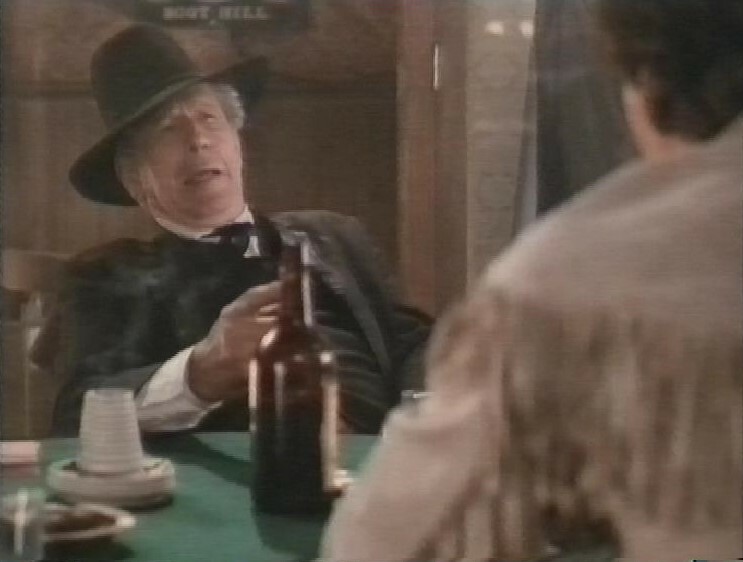 Same leaps into the body of an old man who claims he was the last gunfighter, who cleaned up his local town by killing the family who was terrorising the town. He’s been embellishing the stories over the years. Someone from his past returns, swearing revenge because he’s been lying about what really happened, so Sam might have to have an actual gunfight. His young grandson wants to know why he’s not allowed to have a gun. 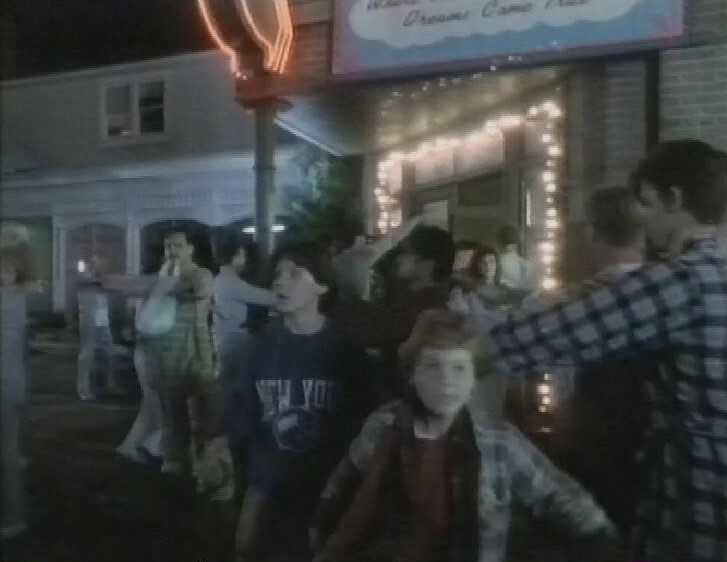 Recording switches to another Eerie, Indiana. It’s Zombies in PJs. 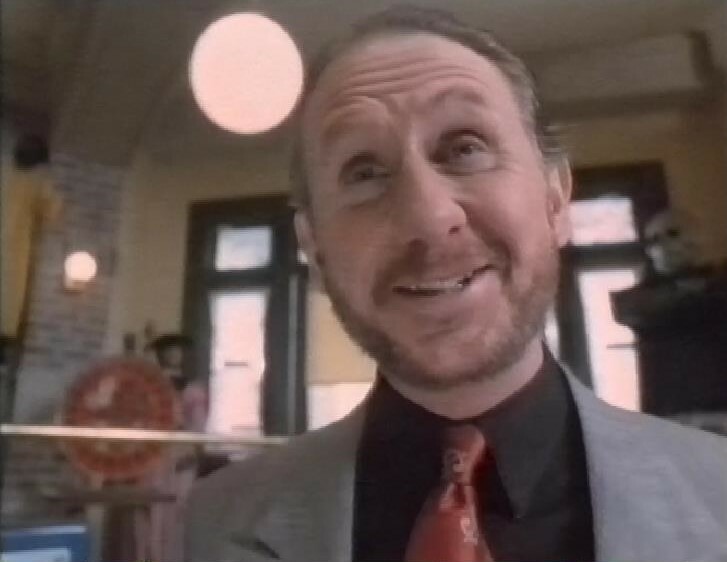 It’s about Credit and Taxes, and Rene Auberjonois plays an advertising agent called ‘The Donald’ who wants to handle the ads and promotion for John Astin’s World of Stuff. His subliminal advertising makes everyone want to buy stuff from the World of Stuff, on E-Z Credit, and they’re all sleepwalking to buy stuff. This is such a fun series. After this, back to BBC2 for Quantum Leap and an episode called Ghost Ship. Sam is flying a flying boat to Bermuda. Carla Gugino plays a passenger, a newly wed (to a dickish rich boy) who’s got appendicitis and who will die if they can’t find Bermuda. It’s all a bit woo-woo scary Bermuda Triangle, but fun nevertheless. After this, a trailer for A Night on the Tyne. After that, the recording ends.